This it the first public deck, two stories above waterline. 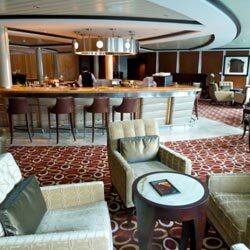 In most ports you'll embark on this deck where you'll find the Guest Relations desk. 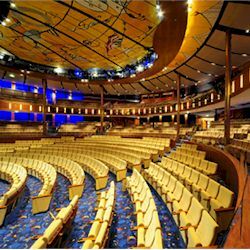 The main theatre is the premier live performance venue aboard Celebrity Solstice class ships. While accommodating a generous audience, it retains a comfortable, intimate atmosphere, bringing you production shows, beautiful musical arrangements, and sidesplitting comedy. 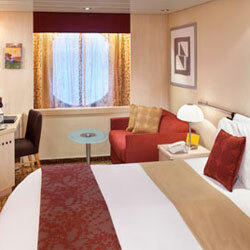 The Guest Relations and Shore Excursions desks are the information centers of the ship. 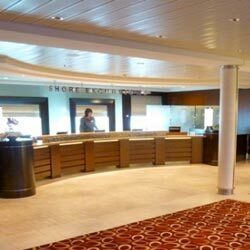 Plan your shore excursions, convert currency, and locate maps for the next port-of-call with the helpful staff here. Escape to the comforting environment of the decidedly casual Passport Bar. Inspired by the relaxed living space of large, ocean-going yachts, the Passport Bar is an ideal place to take a break, plan your next excursion, or share stories with others. 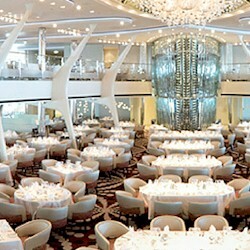 The magnificent and luxurious main dining room of Celebrity Solstice class ships. With a two-story glass wine tower and dazzling chandeliers, this quintessential dining area has a decidedly Hollywood aura. 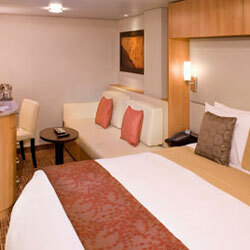 Serving savory world and continental cuisine, complete with Celebritys famed European-style service.